There is much to be concerned about when walking through the woods. I'm afraid of getting lost or twisting an ankle. What I'm most afraid of, though, is ticks. Ticks are multiplying like crazy, and Lyme, a tick-borne disease is being recognized as a real health problem in our area. In New Hampshire, this month of May was recognized by Governor Sununu as Lyme Disease Awareness Month. The Governor points out that NH had the second-highest incidence rate in 2016. The state has information here about tick-borne diseases, with links to several fact sheets. The Centers for Disease Control and Prevention also has plenty of information on Lyme and ticks. A book published in 2018, The Lyme Solution: A 5-Part Plan to Fight the Inflammatory Auto-Immune Response and Beat Lyme Disease by Darin Ingels, is now in our collection [616.9246 ING, also eBook]. I hope you'll never need to borrow it. Information is available, it's up to you to read it and be prepared for when you take your next walk in the woods. 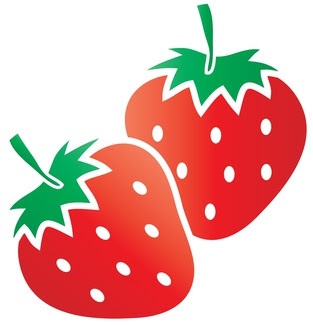 FLOW (Friends of the Library of Windham) is once again throwing Windham's biggest party--the annual Strawberry Festival and Book Sale! The Festival has grown by leaps and bounds since its early beginnings in front of the old stone Armstrong building that housed the Nesmith Library. The 35th Festival will be held at the Windham High School and will provide activities for all ages, musical entertainment, demonstrations, raffles, balloons, and more. The "more" definitely includes--Strawberry Shortcake! The Book Sale preview begins this afternoon, 3:00-6:00, here in the Library multipurpose room. This early sale is for FLOW members, senior citizens, and teachers. If you haven't joined FLOW, you may do so this afternoon and take advantage of the preview. The sale is open to all tomorrow, 9-5, and Friday, 9-2:30 pm. After 2:30 the books will be packed up, and relocated to the High School for Saturday's 10-2:30 sale hours. You don't want to miss this great event, the proceeds of which funds FLOW's support of Library's museum passes, children's events, and author visits at Windham public schools. Visit the FLOW page for more information and a schedule of Saturday's entertainment. Library staff will be at the High School to hand out flyers for this summer's reading activities and events! 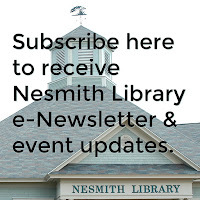 We are grateful to FLOW for all that they do in support of the Windham community and especially the Nesmith Library. The Library is closed today in honor of those who died in various military conflicts throughout our American history. 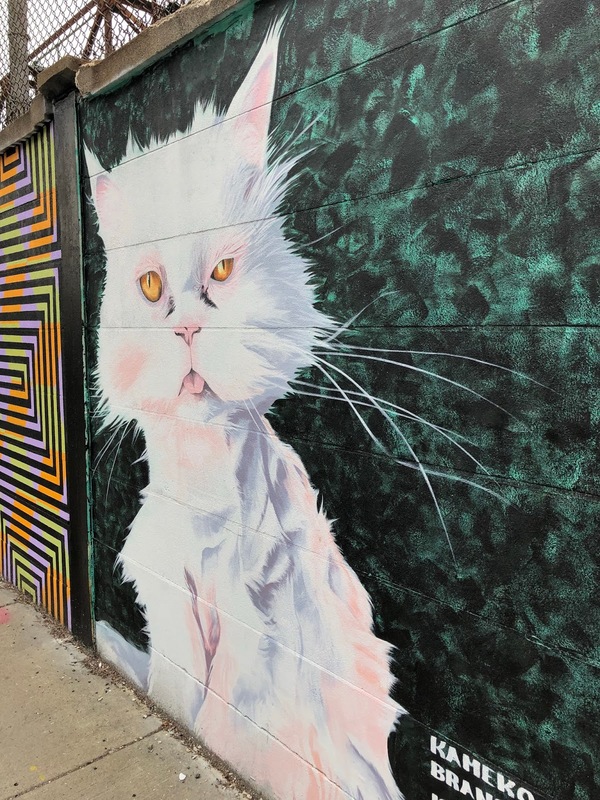 Visit us tomorrow when we open again at 9:00 AM. 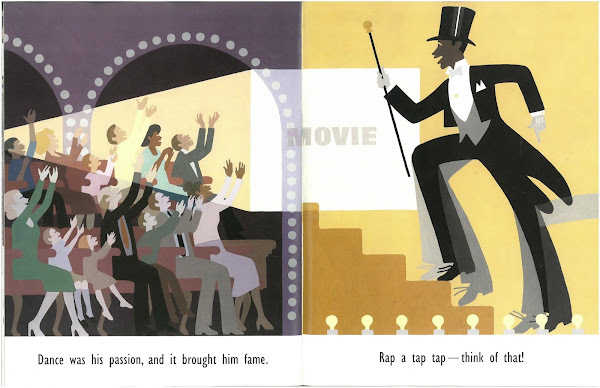 Poetry Friday--It's National Tap Dance Day! Get your tap shoes on and get ready to dance! It's National Tap Dance Day, a celebration of the uniquely American dance form of tap. The day is also the anniversary of the birth of Bill "Bojangles" Robinson who was born in 1878 in Virginia. Robinson was the grandson of a slave. He went on to become a tap dancing sensation and performed on stage and in Hollywood films. National Tap Dance Day was officially declared by an act of Congress in 1989. There once was a man who danced in the street. Rap a tap tap--think of that! 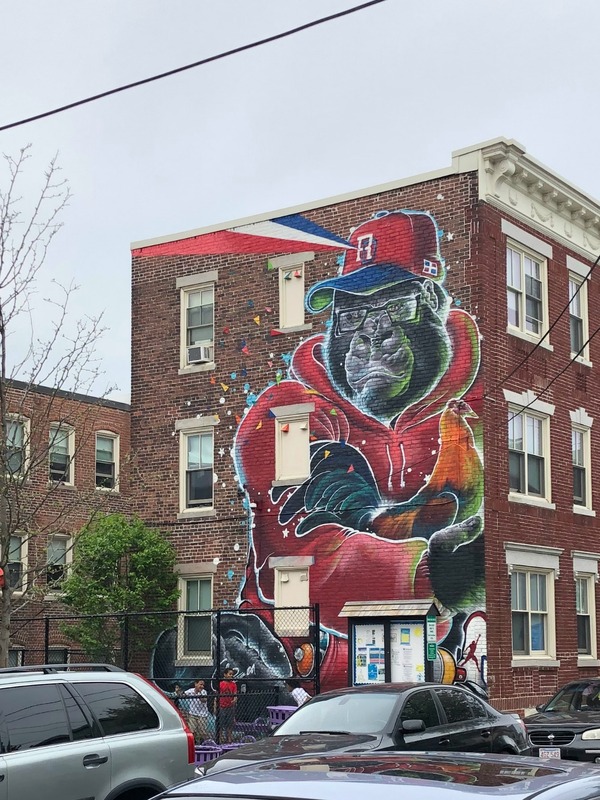 He brought pleasure and joy to the people he'd greet. He didn't just dance, he made art with his feet. He danced past doors; some were open, some closed. He danced past folks in fancy clothes. Margaret at Reflections on the Teche is hosting the Round-Up on this Memorial Day Weekend. Have a good weekend. Remember that the Library is closed on Monday, so we'll see you on Tuesday! Did you watch the royal wedding last Saturday? Lovely, wasn't it? Did you also find yourself gawking at the choice of hats? Fascinators are what those gaily decorated, little sideways hats are called, and the royal family and friends seem to love them! There were fascinators and your more standard variety of hats such as the Queen wore. If you missed the hoopla, check out the hats here. 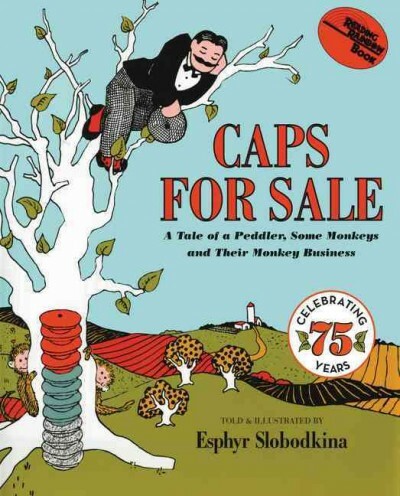 You probably won't find any adult fiction titles that center around hats, but there are plenty of children's picture books that do! That's not even half of the titles we have about hats! Come down to the Library and see what else is waiting! This time not into space, but into the world of postage stamps. 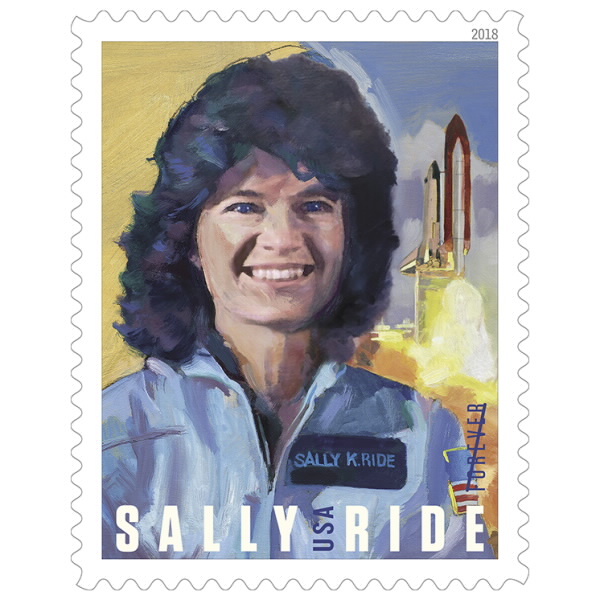 She will be collectible as well as provide your mail with an inspiring decorative touch--the United States Postal Service is releasing the Sally Ride commemorative Forever stamp today. Sally Ride, born in 1951, became the first American woman in space when she flew aboard the space shuttle Challenger on June 18, 1983. After her adventures in space, Ride became an educator and wrote books for children such as Mission Planet Earth: Our World and Its Climate--and How Humans Are Changing Them [J 551.6 RID]. Sadly, Sally Ride passed away in 2012. Even the youngest children can be inspired by her story. She and a dozen other women are celebrated in She Persisted: 13 American Women Who Changed the World by Chelsea Clinton [JP CLI]. Yes! The latest one is called Solo: A Star Wars Story and it will open in theaters on Friday! We will add the DVD to our collection when it is released. Until then, there are a bajillion other Star Wars movies to choose from. And a bajillion plus Star Wars books! 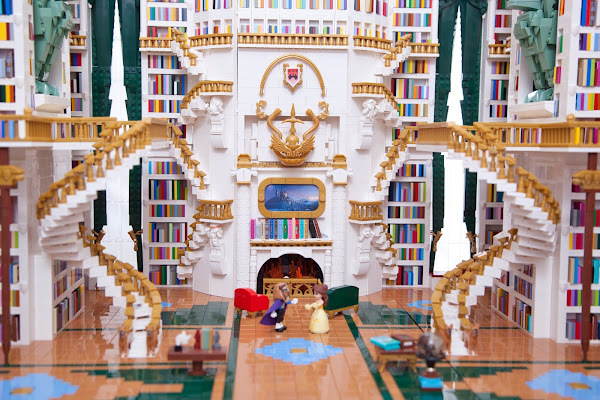 If you think you're a skilled LEGO builder, take a look at this piece built by Sarah von Innerebner. 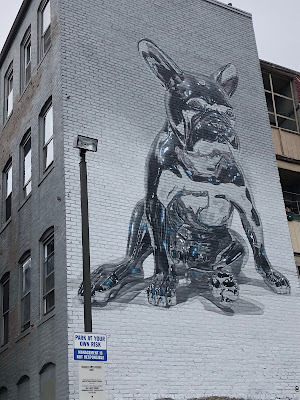 The detail is amazing, isn't it? 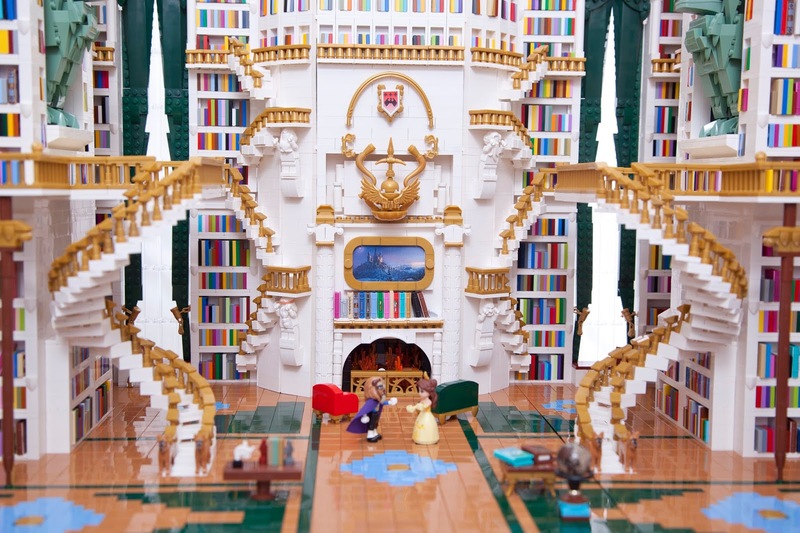 It's not something I would attempt, but it does inspire me to rewatch the original animated Disney's Beauty and the Beast [J DVD BEA]. 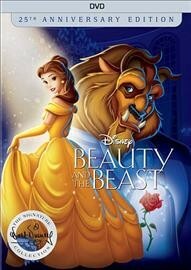 Or the more recent live action version [DVD BEA]. Poetry Friday--May I Bring a Friend? 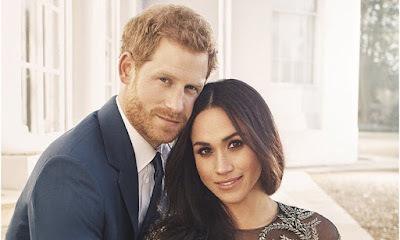 Are you all ready for the royal wedding tomorrow? You've received an invitation? What if you want to bring a friend? 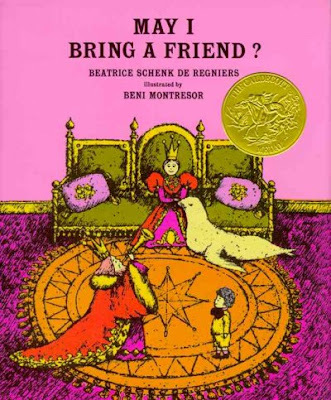 I'm sure the royal family would love to accommodate you, but, if they've read Beatrice Schenk de Regniers' May I Bring a Friend? [JP DER] they may hesitate a wee bit. May I Bring a Friend? 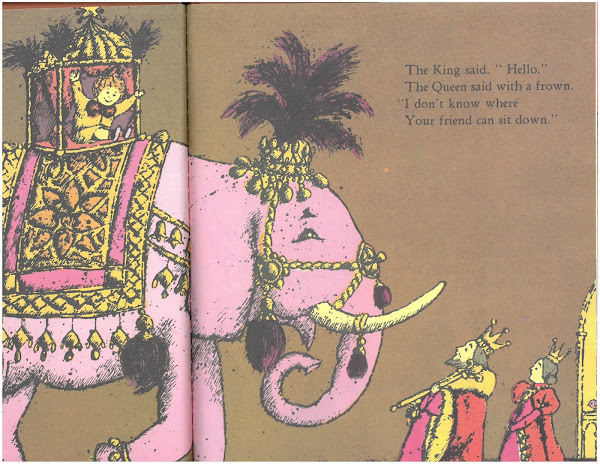 won the Caldecott Award in 1965 for 1964's best illustrated book for children. The illustrator was Beni Montresor. Montresor was also known as a designer of costumes, sets, and the lighting for operas. The illustrations for May I Bring a Friend? certainly have a grand opera vibe! The King told the Queen. The little boy brings a giraffe to tea, a hippo the next day, and he and his out-of-the-ordinary friends continue to visit throughout the week. 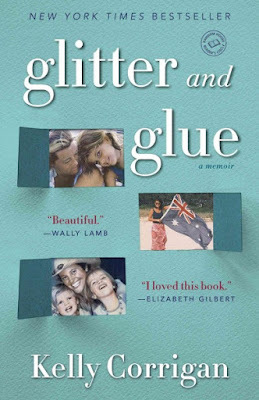 A whole lot of fun awaits you in this book! You'll find more poetry fun today at Sloth Reads where Rebecca is hosting the Round-Up! Noon at Windsor Castle will be 7:00 am here, so get ready to eat breakfast in front of the telly! If you want to feel a part of the festivities, wear a fascinator or a tiara. Perhaps white gloves? For your breakfast, bake some scones the night before, and purchase clotted cream to go with them. If weddings make you verklempt, be sure to have a box of tissues handy! Elizabeth was also a bookstore owner, and quite possibly became the first American woman publisher when she started her own printing press. 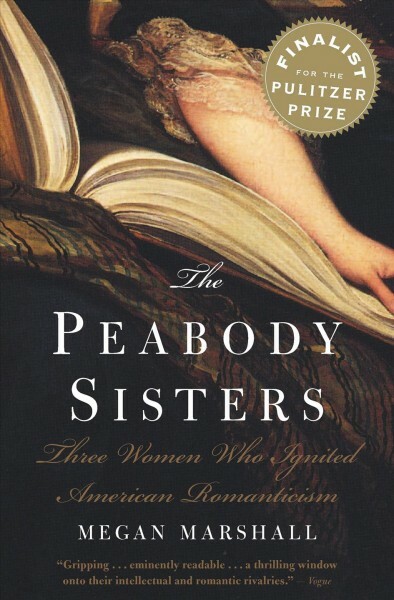 She and her sisters led busy and intellectually stimulating lives! You can read about them in The Peabody Sisters: Three Women Who Ignited American Romanticism by Megan Marshall [eBook]. Did you know 1940s Hollywood star, Hedy Lamarr, was also an inventor? And not the inventor of a new mop or better mousetrap, but the inventor of the communication technology that led to today's WiFi, GPS, and Bluetooth! She was a woman clearly ahead of her time since she did her scientific work 70 years ago. This Friday, NHPTV will air PBS's American Masters, "Bombshell: The Hedy Lamarr Story." We a biography of Lamarr, Hedy's Folly: The Life and Breakthrough Inventions of Hedy Lamarr, the Most Beautiful Woman in the World by Richard Rhodes [B LAM]. If you miss the television airing, look for Bombshell in our DVD collection [DVD B LAM]. Sunday is Mother's Day and I imagine there will be many mother poems today for Poetry Friday. 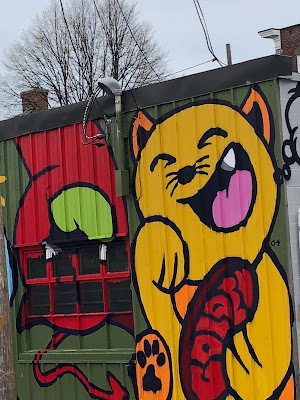 You can check them out at the Poetry Friday Round-Up being hosted at Jama's Alphabet Soup. Let's make it a point to celebrate all mothers this weekend, both human and animal! Here's a poem from the point of view of a seal mother. 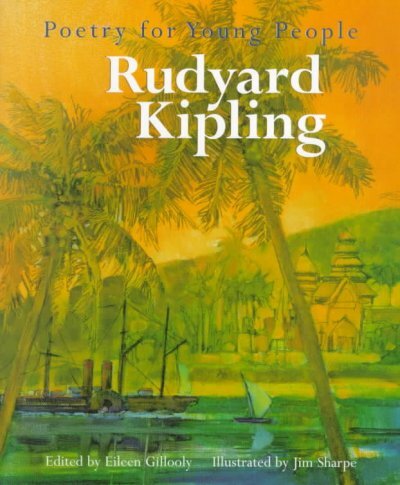 It is from Rudyard Kipling's "The White Seal," a chapter in the novel, The Jungle Book. You can find the excerpt in Poetry For Young People: Rudyard Kipling, edited by Eileen Gillooly and illustrated by Jim Sharpe [J 821 KIP]. As you may expect, after reading this sweet poem, someone has set it to music as a lullaby. Don't Forget! Sunday is Mother's Day! 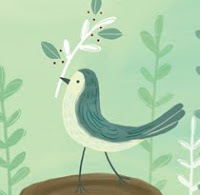 If you haven't sent your mother a card yet, you'd better stop reading and run off to the post office right now! With any luck, it'll arrive on Saturday and you'll be considered a model child. You may be interested in comparing your experiences of being a child, or a mother, with someone else's. Look for one of these MOMoirs! Happy Mother's Day! to all of Windham's moms! Today's post draws together a number of elements. First is the recent death of children's book author/illustrator, Alice Provensen. She was 99 years old. She had written and illustrated books well into her 90s. 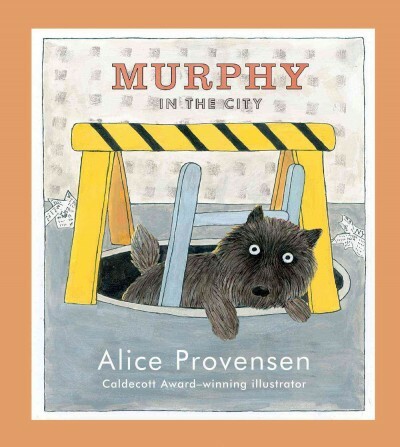 In 2015, Provensen published Murphy in the City, a picture book about a dog named Murphy that becomes separated from his visiting-from-the-country family [JP PRO]. The book was a follow-up to A Day in the Life of Murphy, which had been published 12 years earlier [JP PRO]. If only Murphy, the little dog in Provensen's book, had looked up, I'm sure he would have discovered a world filled with art! 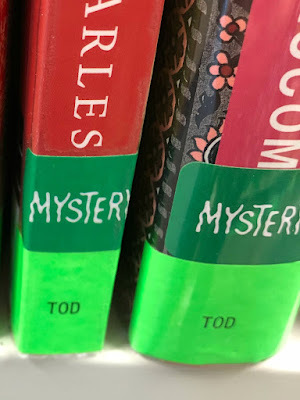 The Boxcar Children is a series of children's mysteries that were originally written by Gertrude Chandler Warner and were published beginning back in 1924. 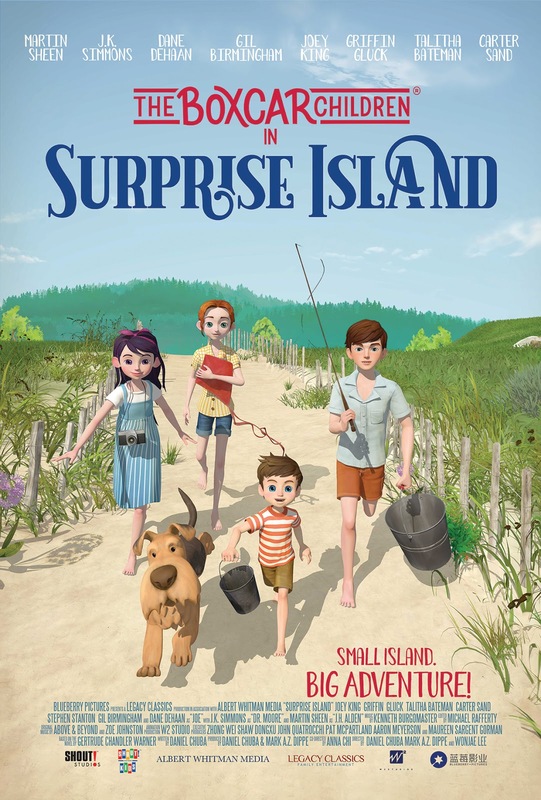 Four orphaned children, Henry, Jessie, Violet, and Benny find an abandoned boxcar and turn it into a home. Today, there are more than 150 Boxcar Children titles. We don't have 150, but we do have dozens in our collection, found in J MYS WAR and a few to be listened to J AB/CD MYS WAR. The Boxcar Children film was released in 2014 [J DVD BOX], and Surprise Island, based upon the second book in the original series, is being released today! It's now officially spring. I know, I know, spring, by the calendar is already a month and a half old, but this week the flowers declared "It's Spring!" 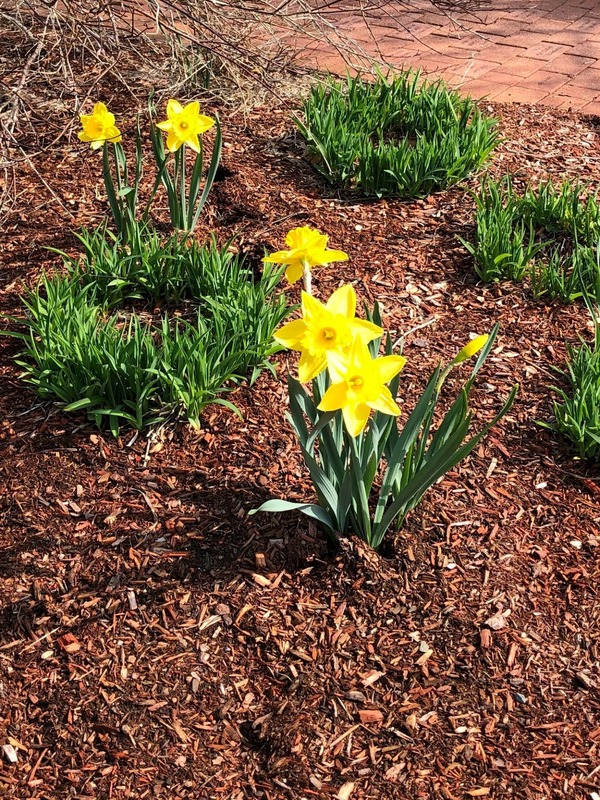 On Wednesday, at 9:00 am, in front of the library, only one daffodil was fully open. By 4:00 pm, after a few hours of 80 degree temperatures, several were open. It was magical! Amy Lowell was a New Englander and, so, understood how important the flowers are to us. She speaks metaphorically of petals in the poem below, but people who don't love flowers, don't write so intimately about them. Read more Amy Lowell poetry in Amy Lowell: Selected Poems [821 LOW]. Visit Friendly Fairy Tales where Brenda will undoubtedly have links to a few more poems of spring and flowers! James Brown was born on this day in 1933. He passed away in 2006. James Brown was known as "The Godfather of Soul," and his performances were legendary. One particularly notable one occurred shortly after Martin Luther King, Jr. died in 1968. The story of that April 5 concert was recounted by former congressman, Barney Frank last month. 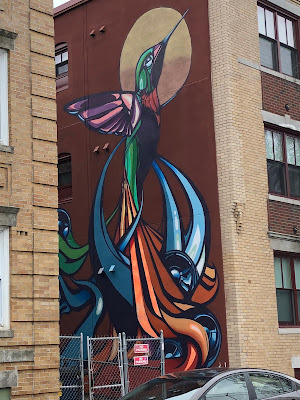 In the space of a day, I heard or read about three hummingbird related things. I'll take it as a sign that it's time for a hummingbird post. The most unusual hummingbird reference was about the popularity of Hummingbird cake. Have you heard of it? I hadn't until yesterday. This decadent cake, made with crushed pineapple and bananas, is a favorite with cake lovers down south. Southern Living magazine lists its history back to 1978. Click here for a recipe and to learn more. I saw on Facebook that some local gardeners are getting ready to put up their hummingbird feeders. I can only hope the little guys don't freeze! If you're thinking of gardening this weekend, you might want to add some flowers that attract hummingbirds. Native Plants of the Northeast: A Guide for Gardening & Conservation by Donald Joseph Leopold [635.951 LEO] will show what what ones are native to this area. The third reference was to an Native American story about how the stars came into existence--a brave hummingbird flew up into the darkness and poked holes through it to let in the light! These kinds of stories, which explain "why" or "how" something came into existence, are called "pourquoi" stories. Pourquoi is the French word meaning "why." If you're in need of a smile today, you can't go wrong with hummingbirds! Take a ride along the Windham rail trail. Then, read Bicycle Science by David Gordon Wilson [629.2272 WIL] to learn the secrets of bicycle aerodynmics and how you remain upright while riding! Bringing Nature Home: How You Can Sustain Wildlife with Native Plants by Douglas W. Tallamy [639.9 TAL] can get you started. If you don't want to plant your own garden, visit the Library's Butterfly Garden, which was created and is maintained by the Windham Garden Club. We have much material on mediation, in multiple formats; browse through the 158.1 and 294.3 print and audiobook sections. 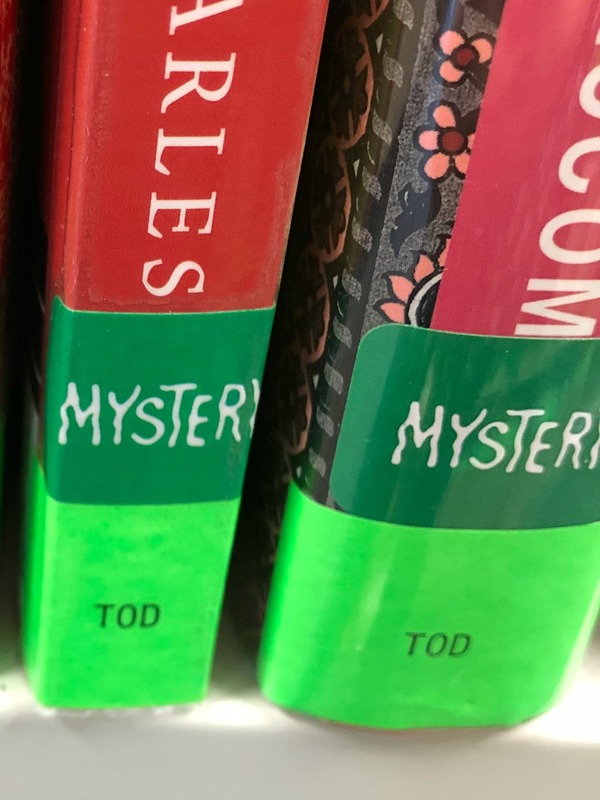 In our fiction section, look for the hundreds of books with the green mystery stickers. We have plenty of sports books, but we also have books for children that emphasis overall fitness rather than athletic skills. Stay Fit! : How You Can Get in Shape by Matt Doeden [J 613.7 DOE] is one such title. Enjoy all that May has to offer!